Mainstream medicine’s cancer treatments of radiation and chemotherapy are far from a cure. In fact, they can make cancer more deadly. But new research shows some common vegetables may be more effective in battling cancer. Why? The answer has to do with cancer stem cells (CSCs) that chemo and radiation can’t touch. In a study published in the journal Cancer, UCLA researchers showed that radiation actually makes breast cancer cells MORE malignant. [i] They found that radiation kills about half of the tumor cells treated. 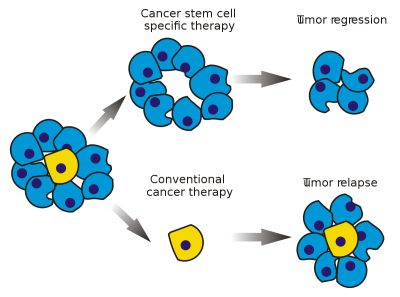 But radiation also transforms other cells into “induced breast cancer stem cells.” Though cancer stem cells make up less than 5 percent of a tumor, they can regenerate the original tumor. In fact, these new stem cells are up to 30 times more likely to form tumors compared to cancer cells that didn’t get radiation. CSCs can also migrate through blood vessels spreading cancer to secondary locations. Chemo works the same way. It kills only the less harmful cancer cells. The cells that are left are more the lethal CSCs that are resistant to traditional treatments. Now researchers from South Dakota State University have found that a compound in cruciferous vegetables like broccoli, cabbage, and cauliflower may target those cancer stem cells. [ii] In fact, it may help prevent the recurrence and spread of some cancers. The compound is called phenethyl isothiocyanate (PEITC). 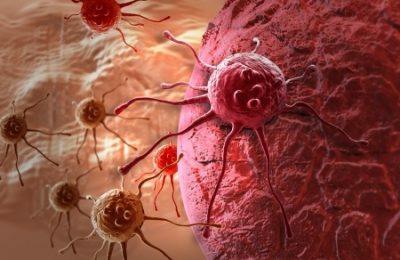 When the researchers added PEITC to a Petri dish with human cervical cancer stem cells about 75 percent of the stem cells died within 24 hours. Studies show it has anti-inflammatory powers. It’s also been shown to have chemopreventive activity against a range of cancers including colon, prostate, breast, cervical, ovarian, and pancreatic. It’s currently in clinical trials for lung cancer. The South Dakota researchers found that PEITC slowed the formation of cervical cancer stem cells in a dose-dependent manner. The researchers also found that PEITC significantly reduced the proliferation of both cervical cancer cells and stem cells. In fact, it worked comparably to salinomycin, a chemo drug, but without the toxic side effects. In addition, the effects of PEITC were significantly better in abrogating cervical cancer stem cell proliferation than paclitaxel, another toxic chemo drug. In mice, the researchers also found that PEITC lowered the average number and size of tumors. You don’t have to wait for a new drug to be developed to take advantage of PEITC. 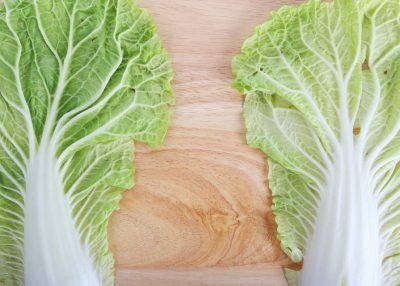 The researchers noted that the concentrations of PEITC they used in their study can be achieved through a diet rich in cruciferous vegetables. They particularly recommended land and watercress. Prior research published in the British Journal of Nutrition and Biochemical Pharmacology, showed that PEITC from watercress may suppress breast cancer cell development. A small group of breast cancer survivors ate a bowl of watercress and then had their blood tested over the next 24 hours. The researchers found significant levels of PEITC in the blood following the watercress meal. Other studies show that eating watercress and broccoli decreases breast cancer risk. And broccoli has been shown to kill the stem cells that make cancer immortal. These vegetables have also been found to improve survival rates in ovarian cancer patients. [iii] They contain another cancer-protective compound called sulforaphane. This powerful compound improves the liver’s ability to detoxify carcinogens and other toxins. EGCG, a compound in green tea, stops prostate cancer stem cells from renewing themselves.